Amjad Islam Amjad is a writer in no need of an introduction. He is a widely followed columnist and an acclaimed lyricist but more than that he is a poet whose verses have helped many an amorous tryst in the country flourish over the decades and a television playwright whose work from the 1980s and 1990s is considered the gold standard when measuring the success – or failure – of other drama writers. 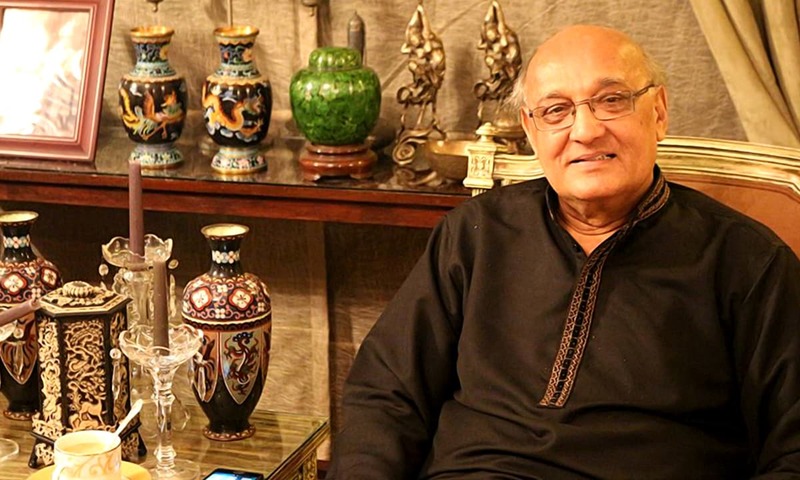 He started his professional career as a teacher at the Government Muhammadan Anglo Oriental (MAO) College, Lahore, and also worked at Pakistan Television (PTV) for a few years. 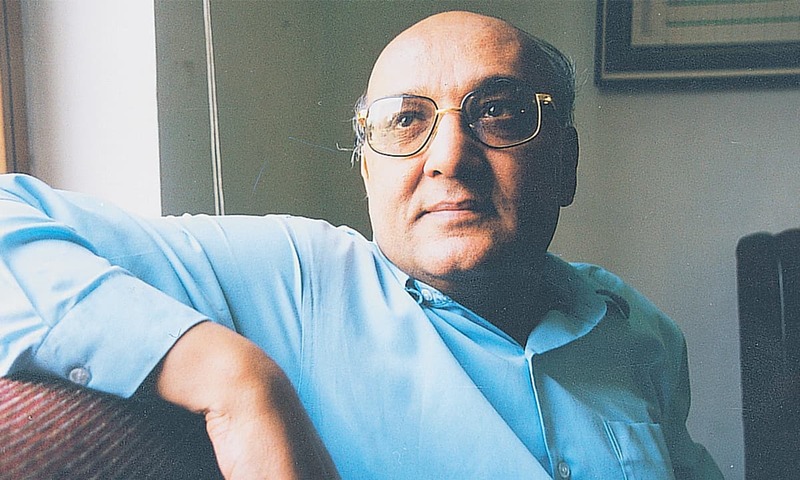 Later, he held a number of senior posts at educational, literary and cultural organisations funded and run by the state such as the Urdu Science Board, Punjab Arts Council and Children Library Complex (all based in Lahore). 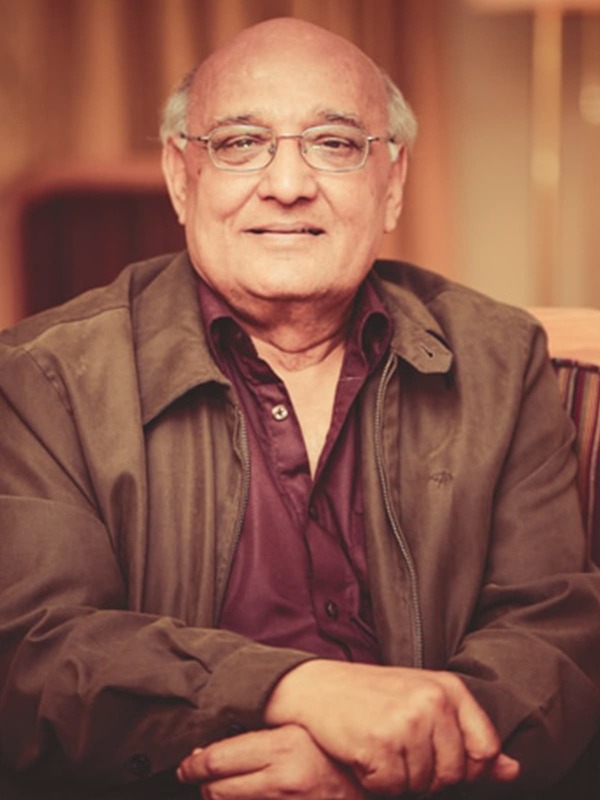 Amjad espouses a populist creative sensibility that has endeared him to countless readers of poetry and viewers of television not just in Pakistan but also in other regions where Urdu is read, spoken and understood. His poetry, voraciously consumed and quoted by young urbanising sections of society, is easy to comprehend and even easier to identify with for the lovelorn youth. His plays, too, resonate with people transitioning from a traditional agrarian rural milieu to a professional’s life in a town or city. The interview below is aimed at understanding the ideas, individuals and events that have shaped Amjad as a writer and as a public intellectual. Bilal Tanweer. Can you describe the intellectual climate around you as you were growing up? Amjad Islam Amjad. We often assume that those who have excelled have a tradition behind them. I feel it does not hold true for us, especially for people in the Third World. I was reading a list of Nobel laureates from 1901 to 1950 [when] I discovered that 37 of them had not completed high school. The same way, I come from a family of people who were not very well read. My paternal uncle was the only one in the family, other than myself, who had completed graduation. We were a family of manual workers. Both my mother and father are from Sialkot [but they] moved to Lahore in the 1930s. I was born in 1944. I was fortunate that our house on Fleming Road shared a wall with the house of Aqa Bedar Bakht who was one of the most learned men of his day. (Fleming Road has been renamed as Aqa Bedar Bakht Road now.) He was the owner and principal of an institute that awarded degrees [in traditional linguistics]. There used to be a lot of books and magazines in his house. I have loved reading from an early age so I would get books from him. For my secondary school, I went to Government Muslim Model High School on Lower Mall Road. The most significant thing about this school was that Dr Mahbubul Haq’s father, M A Aziz, was its headmaster [at the time]. This school became the main learning ground for me. My teachers chose me as the editor of the school’s magazine, Nishan-e-Manzil. By the time I reached my first year of college, I was writing poetry which you could term as ‘technically correct’. In those days, there were bazm-e adab, or literary associations, [in schools and colleges] where young people got the opportunity to practice and hone their literary skills. Unfortunately, such associations are not part of our society any more. In my second year in college, I became general secretary of [one such association], Bazm-e Farogh-e-Urdu, at Government Islamia College Civil Lines, Lahore. A few years later, I became editor-in-chief of Mehvar, Punjab University’s literary magazine. Tanweer. Tell us about the cultural milieu that shaped you and your thinking? Amjad. When I went to college during the mid-1960s, Lahore was a small city. People had more time for literary activities [than they do now]. There used to be meetings of [the famous literary association] Halqa-e-Arbab-e-Zauq at [the historic] Pak Tea House [off Mall Road in Lahore next to Anarkali Bazaar]. Those days all the major educational institutions were in the same area: Government College University, Islamia College, Punjab University (old campus), MAO College. That afforded you the opportunity to be close to important literary figures [who taught at these institutions and attended gatherings at the Pak Tea House] and get exposed to new national and global trends in literature. During those days, you could find Urdu translations of Russian literature quite cheaply. That allowed our generation the exposure to something other than English literature. Russian literature allowed us to think of an alternative way [of looking at global literary trends]. It was what had given impetus to the Progressive Writers’ Movement in the 1930s but the founding generation of [that] movement mostly read English translations of Russian writings. We belong to the generation that came after [the founders of the movement and were able to get hold of Urdu translations of Russian literary works]. We experienced the impact that those works had on Urdu literature. 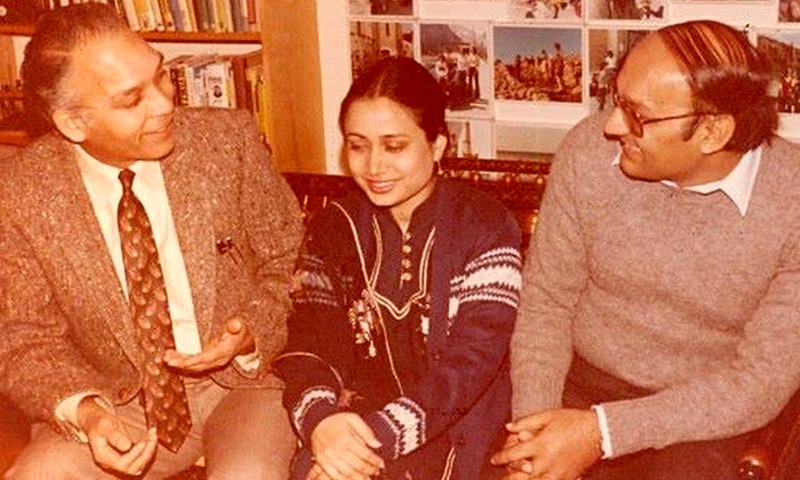 Around this time in my life, I met Ahmed Nadeem Qasmi. I consider this to be a turning point in my literary life. I was around 21 [years old]. I learned a lot of good things in his company and was also saved from a lot of bad things which [other] people of those times would succumb to because those things were fashionable. For instance, a bohemian attitude toward life, not taking life seriously, not working, indulging in different kinds of drugs and intoxicants, thinking that this was what being a poet was all about. Qasmi sahib was a highly disciplined man. And his example taught me to be disciplined as well. Tanweer. Who were the bohemian icons at the time? Amjad. I cannot take names but there were a lot of them. During that time, two tendencies became dominant in literature: art for art’s sake which was represented by the affiliates of Halqa-e-Arbab-e-Zauq, and art for life, represented by people like Faiz Ahmed Faiz, Ahmed Nadeem Qasmi, Habib Jalib, Sahir Ludhianvi and so on. I spent time in both circles and learned from both of them. I even served as the Halqa’s secretary. At the same time, I translated Palestinian resistance poetry for which I received my first literary award — the Writers Guild Award. So, I got an opportunity to learn from everyone. I [also] wrote a book on classical poetry, titled Na’ye Purane, trying to understand [classical poetry] directly without the mediation of interpretation by others. Tanweer. Why did you feel the need to approach classical poetry directly? Amjad. Things have improved at our universities now in terms of research and new work but it was not always like that. Most people [back then] would just repeat what others had already done. We had professors who had been giving the same lectures for 15 years and they did not appreciate people saying new or innovative things because that would require the teachers to study those things. So it was the norm to get good scores at universities by repeating what was already established. Let me give you an example: it was very common to talk about Maulvi Abdul Haq’s [commentary on and selection of] Mir Taqi Mir’s poetry. Now Maulvi Abdul Haq’s stature as a linguist is huge — it is not easy to dispute his title of Baba-e-Urdu, the godfather of Urdu language. But his understanding and taste in poetry were not anything extraordinary. He had looked at Mir from a very restricted angle. When I read Mir’s ghazals, I would be puzzled by Maulvi Abdul Haq’s selection because they contained several verses superior to the ones chosen and cited by him. When I saw this, I realised that the only way for me to approach these [classical] poets was [to explore their work] myself. Ali Usman Qasmi. 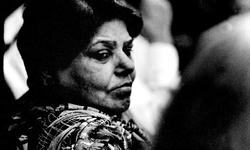 In the 1960s, two important developments took place in Urdu poetry. One was what Zafar Iqbal was doing in ghazal (by introducing rhymes deemed unsuitable for giving ghazal its quintessential lyrical ethos) and the second was what Iftikhar Jalib was doing in nazm (by writing prose poetry). How did these linguistic developments affect your poetics? Amjad. First of all, both of these things were offshoots of larger trends as opposed to being the main currents in the literature of those times. 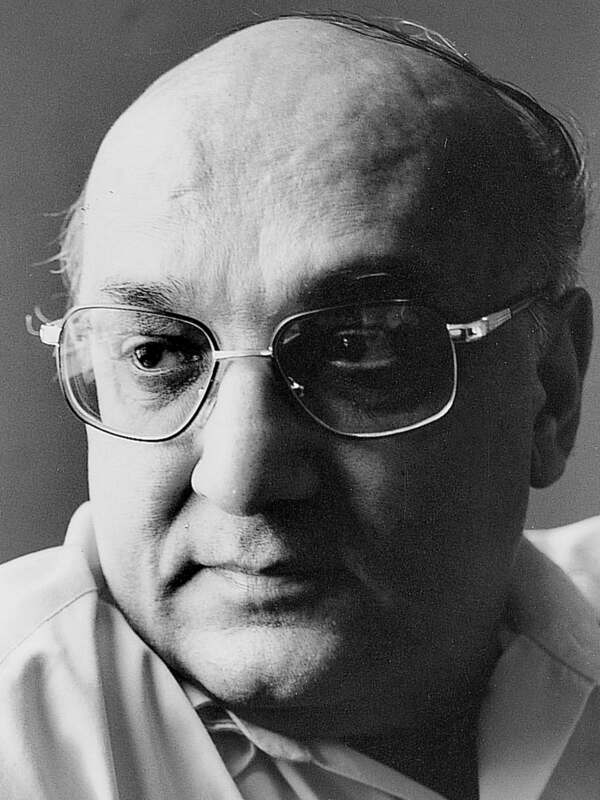 Iftikhar Jalib [and others like him] were aware of the movements in western literary criticism which were later termed as structuralism, post-structuralism and so on. I personally think they started applying those ideas to Urdu literature much before time. [Their experiments] never took root in Urdu poetry because our literature had not reached the stage where those ideas could be applied to it. As a result, those movements gradually fizzled out. Some of the writers [in those movements], who were relatively better at creativity, merged themselves in the mainstream. I think Zafar Iqbal’s poetic talent is extraordinary but I often feel he is under the charm of his own spell. Tanweer. The diction that you use in your poetry is distinct from that of poets who belonged to the generation before yours. 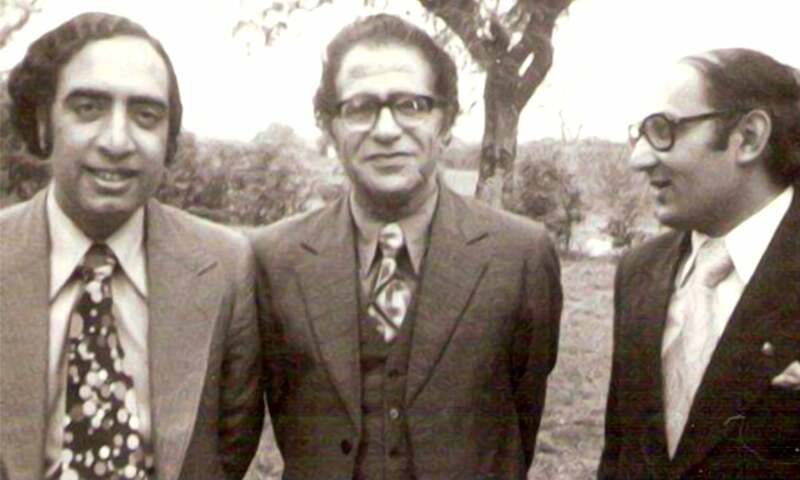 Poets like Faiz and Noon Meem Rashid wrote poetry in a language that was steeped in the influence of classical poetry. Yours, on the other hand, is closer to colloquial Urdu. How do you explain that? Amjad. Look, the training that Faiz received showed its influence on him. Ghazal was dominant [at the time he was growing up]. When he wrote nazm, the influence of ghazal was so deep on him that you can always see it in his verses. I feel that there are influences of Faiz and Rashid in my own work, especially earlier on. Tanweer. The time you have been active writing is defined by three historic events: the 1971 war, the Afghan war and the war against terrorism. How do you think your work has responded to these events? Amjad. It is true that these events have influenced not only me but every poet of my generation. But I think my intellectual make-up had already begun to consolidate before all of this happened. You can say that my ‘defence wall’ or ‘shock absorbers’ were already strong enough to deal with these events. As I wanted to show in my television serial Waris, those coming of age in the mid-1960s [like myself] were trying to grapple with fundamental questions of existence. On the one hand, [they were exposed to] the English language and English and western culture, which included [the capitalist] economic system. On the basis of their industrial advancement, [western countries] had transformed the entire world into a single track [economic system] which was projected as the only way to progress. The reaction to this was provided by thinkers like Karl Marx who offered other ways of seeing the world. One of the aspects of the West’s progress which is admirable is that, while western countries plundered and caused widespread devastation all over the world, their plundered wealth did not end up enriching just a few individuals. Rather, it was used to uplift their entire societies. Our misfortune is that all the wealth goes to a few people. These were the kind of questions that used to haunt me — the unequal distribution of wealth, the gulf between haves and the have-nots. Why does this man have all this? What has he done to earn it? The few who have usurped wealth of the majority do not do any work themselves while others suffer in conditions much worse than those of animals. You will find glimpses of these questions in my early poetry. I used to ask questions which others used to avoid in those days. These questions were like: what gives a dictator the authority to impose his will over others who know and understand better than him? Other people would respond to such questions by going to extremes: they would either side with dictators or reject them outright. I, as well as some of my friends, tried to find a middle way — to be objective. We said if those who were oppressing the people were not doing it knowingly and maliciously, we needed to talk to them. If you see my first poetry collection, Barkzakh, you will find a lot of poems that deal with these subjects. We considered the two dominant [political] attitudes [of the time] as problematic: one, to let everything run its course, and, its opposite, to change the world entirely. I always thought the truth was somewhere in between. When I used to sit with Qasmi sahib in his office [from where he produced the the literary magazine Funoon], there used to be a lot of learned people there from different schools of thought. They used to sit together but each had a mind of their own. There was Ali Abbas Jalalpuri who used to have revolutionary ideas about philosophy; there was the writer Mohammad Khalid Akhtar; there was Syed Muhammad Kazim who used to be an authority on Arabic language. I translated many Palestinian poems from Arabic with his help. During that period, I published a translation of black poetry, Kalay Logoan ki Roshan Nazmein. So, on the one hand, I was intimately aware of the classics but, on the other hand, I was also engaged with the world around me. Tanweer. Waris was your first drama serial. In that drama, you showed a complex panorama of characters that espoused a range of values in conflict with each other. How do you think television drama has evolved since Waris? Amjad. This is a painful subject for me. I believe PTV did brilliant work starting from around 1970 [and continuing it] till 1995. But we did not draw any long-term benefits from it — neither the television corporation nor the ordinary people. As a result, those things fizzled out and could not stand a single gust of change. First, two tiny [private] stations like Network Television Marketing (NTM) and Shalimar Television Network (STN) sent shockwaves through [PTV]. The reason was that PTV was so overconfident that it did not consider anyone to be its competition. It did not prepare for change. I belong to the second generation of television [writers]. The first generation included Qasmi sahib, Ashfaq Ahmed, Bano Qudsia, Kamal Ahmed Rizvi, Dr Anwar Sajjad, Safdar Mir. All these people had come into television from radio. In the 1960s, there were only three avenues for artists: theatre, film and radio. But all these three areas had rigid structures and writers for these mediums felt that they did not have the space to express themselves. When television came on the scene, it synthesised all three existing mediums and, since it did not have a history in Pakistan, it had much greater room for experimentation. So, all the creativity from the entire country flowed into [television]. This was the kind of atmosphere when we entered [PTV]. Alongside us, there was a generation of contemporary producers in television as well. But that was the last generation of producers which had joined [PTV] on merit. There was little money or glamour [in a television job at the time]. People joined television because they had a passion for it — people like Shoaib Mansoor, Ayub Khawar, Haider Imam Rizvi, Sahira Kazmi, Kazim Pasha. Our seniors had laid strong basis for television. Our generation worked to bring variety to it. The mistake that PTV made was to assume that the way the first two generations [of writers and producers had] developed, the next generations would also develop the same way automatically. That was wrong. Things changed as soon as there was glamour, money, career and fame in television. All manner of people then infiltrated television. What happened with Pakistan International Airlines (PIA) and Pakistan Steel Mills also happened to PTV. When our generation began retiring around the year 2000, you had people at the helm who had not been appointed on merit. 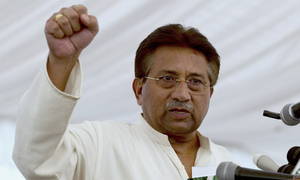 Soon afterwards, when privatisation of broadcasting happened during Pervez Musharraf’s era, the seth entered the picture. PTV showed all of Pakistan on the screen but the seths want to only show the saleable Pakistan, no matter if it wrecks the morals and values of society. The demand for television content, in the meanwhile, went up 10 to 15 times. This created a vacuum [that allowed] a lot of unqualified people to enter the field. As a result, they brought the drama down to B-class. Now they have brought it down to even below C-class. If you watch the dramas of today, you will feel that no woman in Pakistan is faithful to her husband. We always believed that the eldest daughter-in-law in a household was like the mother to her brothers-in-law. There has been no drama during the last five years which did not show her having illicit relations with her brother-in-law. What are we showing to our children? I am not saying that these things do not exist in our society. [They do] but they represent only one to two per cent [of what is happening in the society]. Why are we projecting them as if they represent the 98 per cent? A young boy watching these shows will think everything goes. We have destroyed the moral fiber of our own society. I do not care if I am declared regressive but I believe I have no right to write a drama which I cannot watch with my sisters, my mother and my daughter. That is why I have not written a drama for 15 years. I have not quit writing drama but I have suspended writing it. I will certainly write [again] if I know that what I write will be produced faithfully. Tanweer. What do you think about the relationship between art and society? Do you think art is merely a reflection of society or does it have any agency to influence society as well? Amjad. It does both — reflect the society as well as influence it. Tanweer. There is often a distinction made between pro-state and anti-state writers. Your creative and professional trajectory suggests that your relationship with the state has been a little more complicated. What do you say? Amjad. It is not so much about being pro-state or anti-state as it is about being pro-government and anti-government. If you disagree with the state, that is, if you ever do, it will be a very abstract or intellectual kind of a disagreement. Governments are temporary and one can and should disagree with them, with their approach, with their policies and so on. But we confuse the two. Our rulers [also do the same]. When they are in government, they start thinking that they are the state. If one criticises the government, we should consider their criticism as directed against the government and not against the state. Qasmi. A running theme in Waris concerns the construction of a dam. It seems that the dam in the drama is a stand-in for the will of the state which assumes greater importance than the lives of ordinary people. Is that a correct assessment? Amjad. If you look at it more carefully, you will see that the person opposing the construction of the dam is a feudal lord, Sardar Hashmat, who imagines himself to be a representative of the state. I have tried to show that he is not an illiterate person but, in fact, is someone who thinks deeply though the chemistry of his thinking is similar to that of Abu Jahl’s. I made Sardar Hashmat symbolic of Abu Jahl who carried on with his ways because of his tribal chauvinism even when he knew that the message he was receiving was correct. Abu Jahl also possessed a strange kind of chivalry. When they were chopping off his head, he told his executioner to cut his head a little lower down the neck so that when it was raised on the spear people could know that it was the head of a tribal chief. It was the same with Chaudhry Hashmat. People often tell me that I made a villain into a hero. It is true that I gave him the same importance as a hero but I did not make him into one because his fate is still that of a villain. In the end, it is the will of the ordinary people that triumphs. So, I might have shown him as chivalrous but I have not excused his class character or his actions. Tanweer. Some people might object that this sort of a happy ending is a little fantastical. In reality, things do not end in this manner. Amjad. I do not agree. You can say that people in their lives do not see [such an ending] so clearly but literature everywhere does the same thing. If you look at Hollywood, which we think to be very close to reality, you will see that they do the same thing. Now I have a point of view as well. If I abandon my audiences in the same suffering that I have made them undergo for 12 weeks then what am I doing? And it is also not true that everything in society is bleak. The good things that can help our society move forward, that can give us courage and hope, why shouldn’t they be put forward? If we can do a cosmetic make-up of darker aspects of our society, why shouldn’t we do the same for the better aspects of our society? This was originally published in the Herald's July 2017 issue. To read more subscribe to the Herald in print. There is no litrary aspect in dramas, movies and even poetry for few decades in pakistan. Of course there are some exceptions. On the name of literature they are airing their sick thouths. 'Disagreeing' with governments is one thing but at least they should be allowed to complete their terms , under democratic norms? Or does Mr Amjad islam Amjad also believe its ok to do away with them anytime one feels like it? Amjad Islam Amjad is a great writer and poet . I miss dramas of such stature as Waris. Mentioned rightly PTV lost a lot over the time. A message that can build characters and personality is missing in dramas nowadays. It is a reason these dramas lost their appeal. Governments considers themselves as state and take criticism as act against state- rightly mentioned by Amjad Saab. What a read really like it.